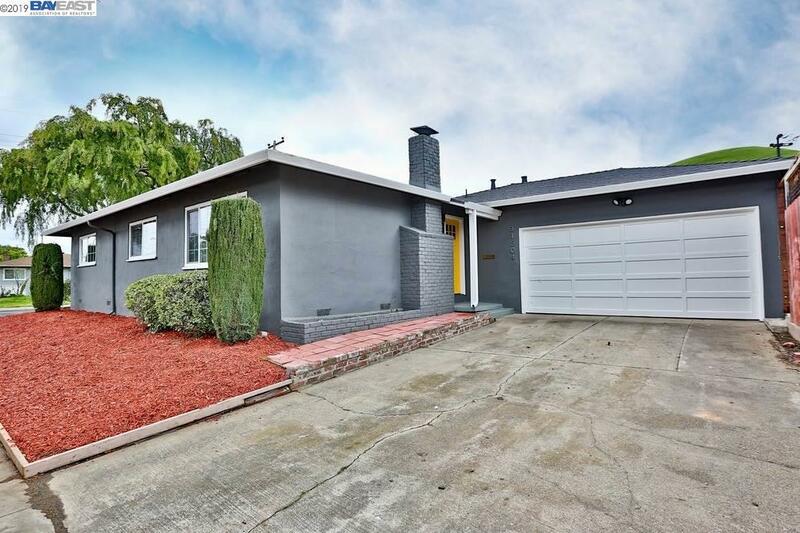 Located in the Highly Desirable Fairway Park area - This beautiful, entirely remodeled modern Fairway Park home boasts an open floor plan which allows for easy indoor/outdoor living and entertaining. No expenses were spared in this beautiful design! It also features a brand new kitchen with quartz counter tops, recess lighting throughout, brand new roof, new stainless steel appliances, flawless new bathrooms, new flooring throughout, newer dual pane windows, spacious attached garage, fresh interior and exterior paint, tastefully landscaped front/back yard, much more. This home resides in an excellent, convenient premium corner location. Commuter friendly location makes it easy to access South Hayward Bart, I-92, I-84 , I-880, and other major highways. Walking distance to shopping centers and grocery stores. You will absolutely fall in love with this completely remodeled Fairway Park home.